C4A is a support and lobby group for carers of adults with Asperger's Syndrome or High Functioning Autism. The group has been set up in conjunction with Harc (the Hertfordshire Branch of the National Autistic Society). 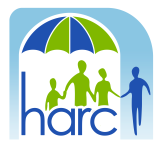 Carers in Hertfordshire facilitates C4A which meets regularly in Hatfield and, whether you are a parent or a partner, it is an opportunity to share experiences, to help each other and to campaign for better services for all families. Appropriate speakers are invited from service providers, Hertfordshire's Joint Commissioning Team, Health and Employment, and useful information is shared. The Group is also represented on the Hertfordshire Autism Board and has input into service planning and development.